For those who wonder why I chose the name ‘Andy Earhole’ for my blog: here’s what inspired me. 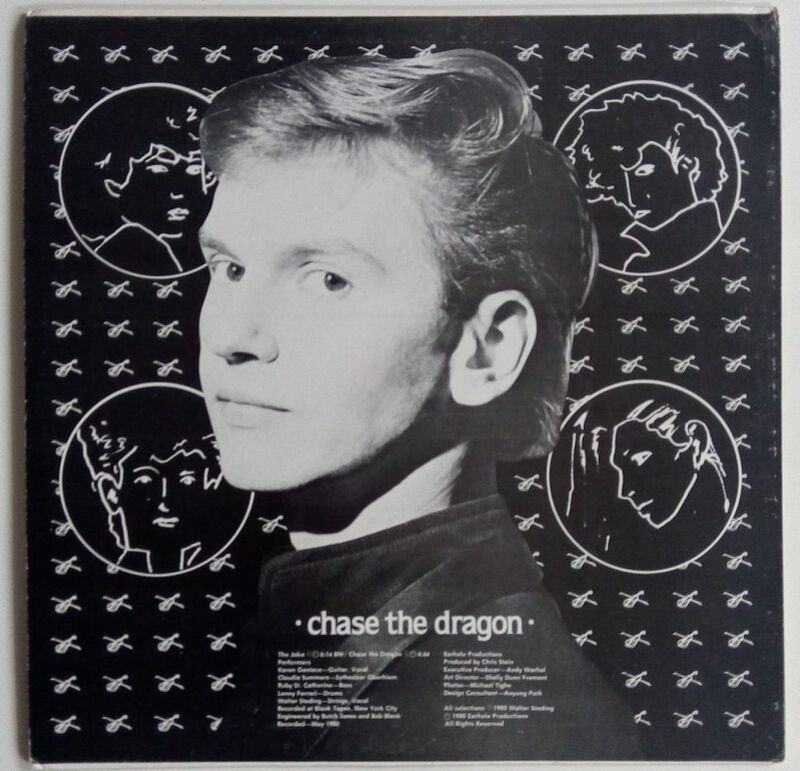 In 1980 Andy Warhol founded his own record label, Earhole Productions, that as far as I know has released just one record, a 12″ single with two tracks: The Joke / Chase The Dragon by Walter Steding and The Dragon People. 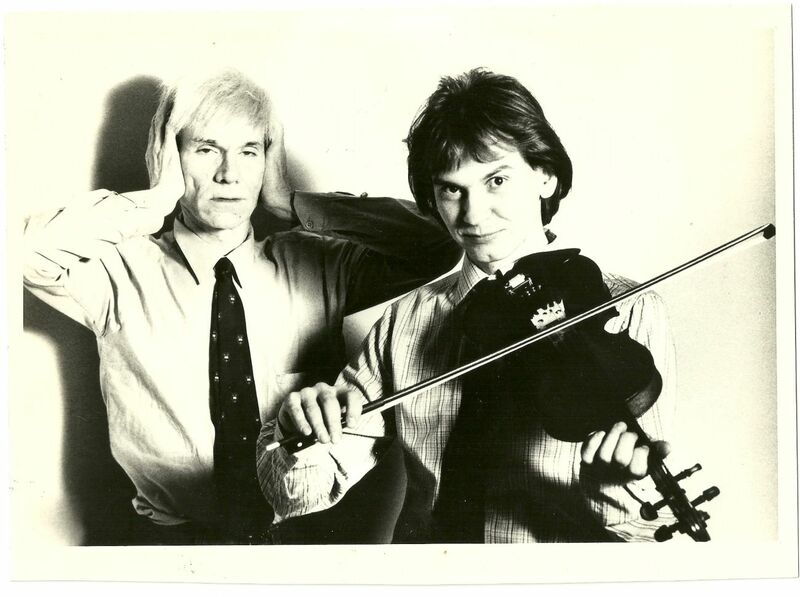 Everyone knows Warhol has produced the Velvet Underground’s legendary first album, fewer know about his involvement with new wave violin player Walter Steding. Steding was a painting assistant at the Factory, who did jobs like mixing colors for Andy, and building frames for the canvases. But he was also an avant garde pop musician, often performing solo with his electric violin, dressed as a bug or covered with lamps. Warhol was his manager for a few years. Steding writes about how he met Warhol and about his work at the Factory on his website, which is a pleasant read. 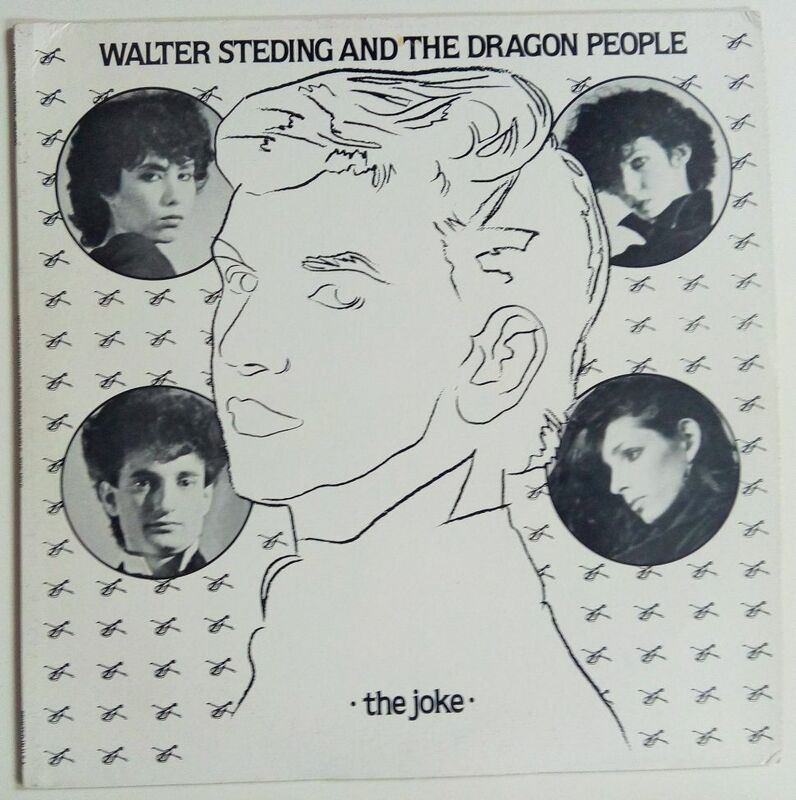 Warhol drew a portrait of Walter Steding for the cover of The Joke. I don’t think the four drawings of the band members on the back cover are also by Warhol, but I can’t say for sure. Warhol’s involvement with Walter Steding’s musical career seemed to be quite huge. From Steding’s writings we learn that he and Warhol founded the publishing company Captain Henry Music. 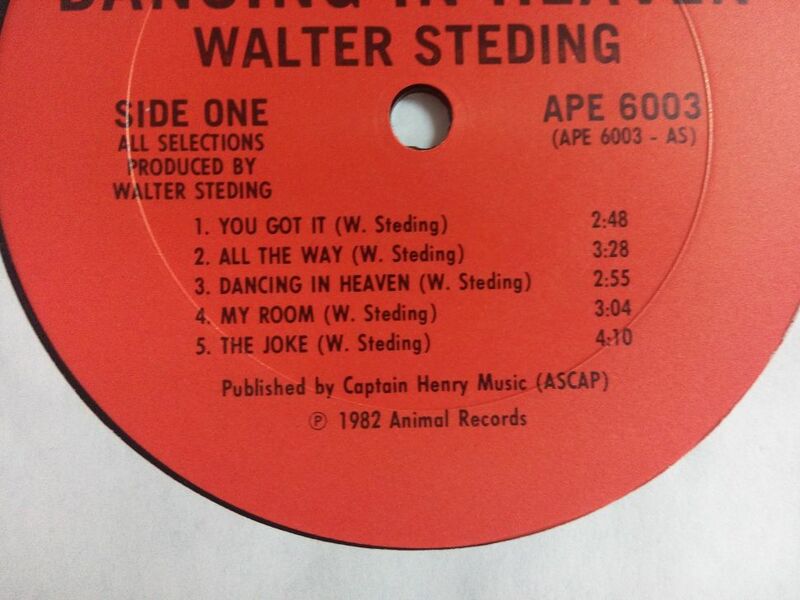 Steding’s 1982 album Dancing In Heaven was released on Animal Music, the label owned by Blondie’s Chris Stein. Publisher of the songs was Captain Henry Music. In my collection I have a promotional copy of this album. 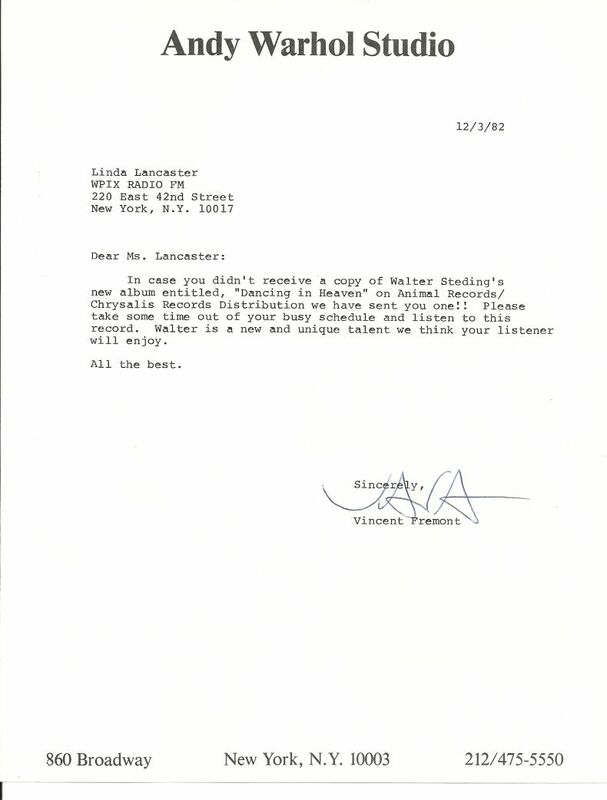 It contains a letter to a radio station, on Andy Warhol Studio stationary,. The letter is sent by Factory employee Vincent Fremont, who would later become one of the heads of the Andy Warhol Foundation. The press kit also contains the great photo by George DuBose of Warhol (covering his ears) and Steding, which you will also find at the back of the album cover. 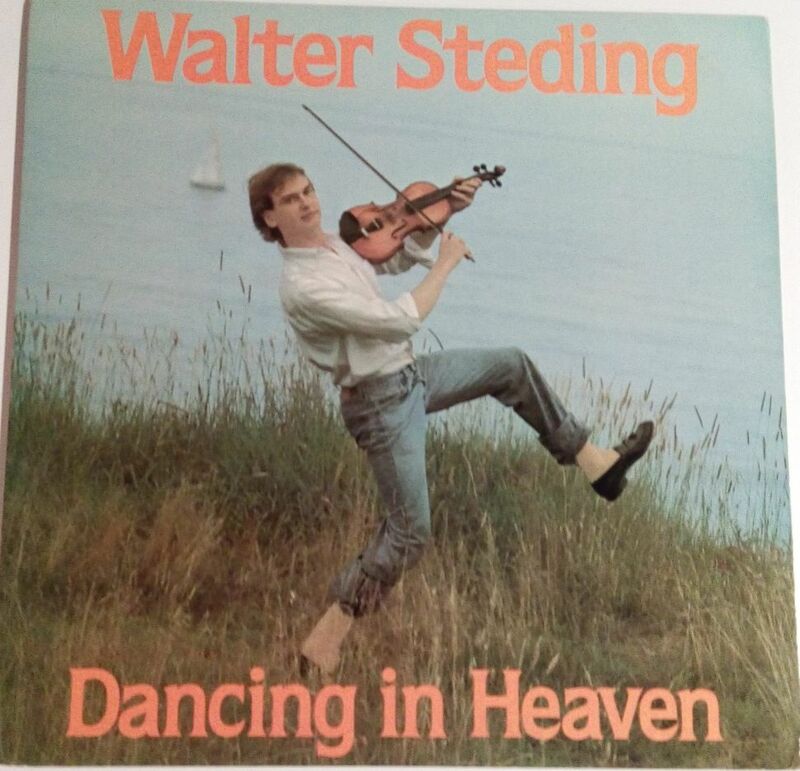 Although Warhol did not do the cover art for Dancing in Heaven, it’s still worth to have a look because of his involvement as Steding’s manager. Vincent Fremont is credited for Art Direction. Front cover picture is by Erica Lennard (who also did the pics for Mick Jagger’s solo album She’s The Boss). 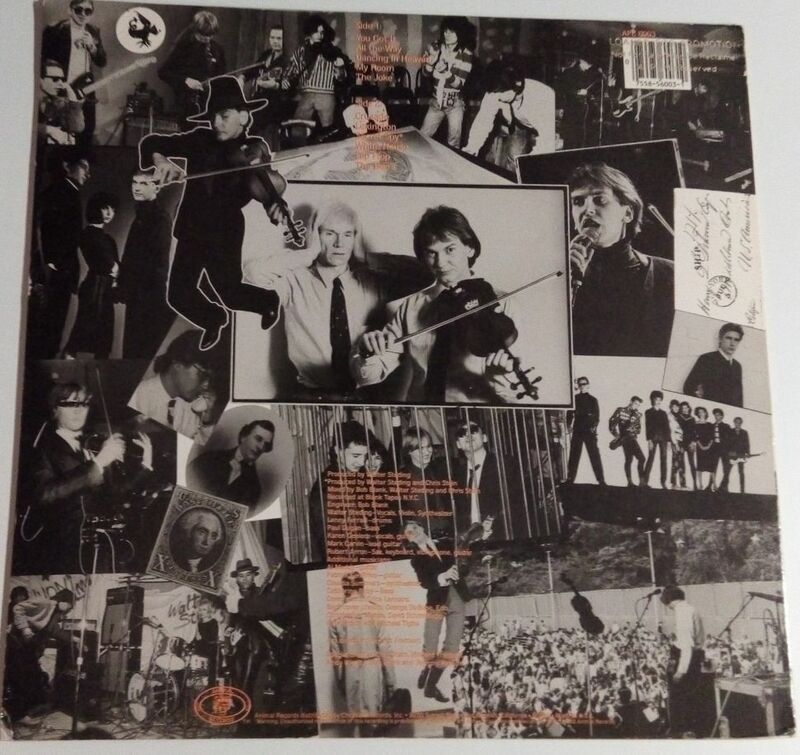 The back cover has a collage of different pictures, among them the already mentioned portrait of Warhol and Steding by George DuBose, and a photo by Christopher Makos of Steding and the Rolling Stones at the Factory, jamming around a Warhol screenprint from the Gems portfolio.